We create a “product” (service leg or specific cold chain solutions), adjust it to the concrete customer case and market at origin and destination. 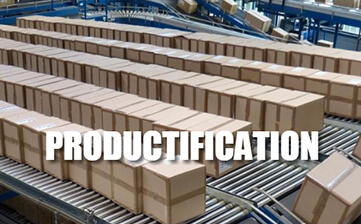 Service ”productification” enables higher productivity levels and increased customer satisfaction. It means that Easyfresh designs specific logistics models depending on the area or region to develop cold chain solutions. It takes in consideration all bottle-necks, circumstances, seasons, infrastructures or other issues, adapting same to our customer needs and always with our “fresh mentality”: Taylor-made solutions for selective service legs or routes. A good example is our “European Model” reflected well in: European Refrigerated Distribution Centers. In this case through our various coldstores we can offer a number of services to our customers, as part of the cold chain, adding same to the seafreight. Our Easyfresh colleagues offer this “product” at both ends of the cold chain to maximize the benefits of its use by our clients. Therefore our global cover allows a better preparation, understanding and explanation of services rendered and how to adjust same to the specific customer needs. A service linking A and B, needs to be created, presented and understood by the shipper and the receiver. The process of “productification” of our different “products” or services is paramount to differentiate from low-leveled or rather basic reefer logistics services.